Often times we only care about the hundreds of likes and shares that hit up our post on Facebook and forget about some very important and vital features on the world most populous social community. Besides being able to advertise your products and services, you can also place items for sale. But this is yet another big one from the social media giant as you can now make global funds transfer through Facebook. A new money transfer startup called TransferWise launched a chatbot recently that allows Facebook account owners to transfer funds overseas through Facebook Messenger App. CNN reports. This service can be used to transfer funds within Canada, the US, Australia and the European Union unlike before that it was between Facebook US users alone. Users will also be notified when their currencies hit a new price value. TransferWise is a London-based money transfer service with over 1million customers making funds transfer of over $1Billion every month. This tech startup which is valued at about $1.1billion features Richard Branson of Virgin group as one of its investors. With TransferWise Facebook users can avoid the huge cost of transferring funds overseas. The money transfer service provider does this by allowing customers transfer their monies to their personal bank accounts in their desired country. Transferwise in return pays the same amount from its local bank account in the user’s second choice country (where money is to be delivered). 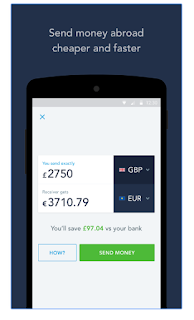 The UK Financial Conduct Authority regulates the activities of TransferWise. Facebook which first its chatbot in April 2016 was given the nod by the tech startup as it complies with all user protection laws. Users are allowed to communicate with companies just as they chat with friends on the social media platform. With these bots in place companies making use of this service may not need customer service agents as the bots responds in a conversational way. Now that you are aware of these spectacular features on Facebook why not make judicious use of them? Especially because of the fact that you are helping someone grow his empire. There are still many features on Facebook we are yet to uncover because all we care about are just the chats, Facebook likes, shares and comments on our posts. I hope you found this post helpful and you have learnt something new about Facebook. If you have please share with your friends and help us know your thoughts on the comments box.